Gwen I. Reinke, 85, passed away peacefully on Tuesday August 21, 2018 at Country Villa Assisted Living, Freedom with her family by her side. She was born July 29, 1933 in Appleton, daughter of the late Urban and Rosella (Merget) Meehl. Gwen married Lawrence Dietzen on June 3, 1953; Lawrence preceded her in death in June 1961. She later married William Reinke on May 1, 1963; William preceded her in death in January 1998. Gwen was a born again Christian, as faith was an important part of Gwen’s journey through life. She enjoyed raising her family on their dairy farm in Darboy. Gwen retired from Manderfield’s Bakery after working as a decorator for over 20 years. 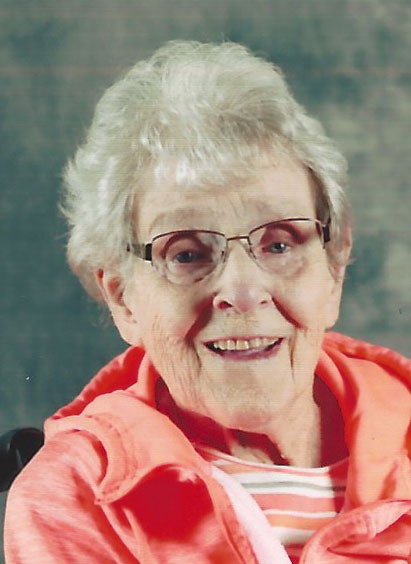 Gwen loved playing games, especially bingo, and watching the Packers with her family and friends. Her greatest love was time spent with her family, especially her grandchildren and great grandchildren. Gwen will be dearly missed by her 12 children: Donna Lettier, Dave (Kaye), Dan (Sharon), Diane Campbell, Debra (Dan) Vandenberg, Dennis (Terri), Doris (Steve) Hagglund, Dawn (Tom) Paiser, Doreen (Scott) Janssen, Luann (Gary) Van Beek, Steve (Beckie), and William III (Traci); 21 grandchildren: Ryan, Corrine, Lisa, Laura, David Jr., Marissa, Luke, Amanda, Angela, Jesse, Tanya, Daniel, Dana, Jennifer, Paul, Jacob, Megan, Jason, Cole, Aubrey, and Ellianna; 12 great grandchildren; sister, Lynn (Jerome) Uitenbroek; and a brother, Homer (Marie) Meehl. Waiting for Gwen in Heaven are her parents; daughter, Kay; son, Mark; grandson, Michael Campbell; step mother, Evelyn; two brothers: Owen and Tom Meehl; and many other relatives and friends. 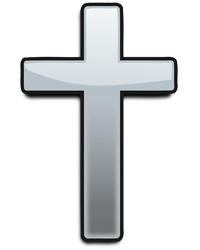 Funeral service for Gwen will be 12:00 PM on Monday August 27, 2018 at CALVARY CHAPEL, 2136 E Newberry Street, Appleton, with Rev. Dwight Douville officiating. Visitation will be held at the chapel on Monday morning beginning at 10:00 until 11:45 AM, with service to follow at 12:00 PM. Private family burial will follow at Holy Spirit Catholic Cemetery, Darboy. In lieu of flowers, a memorial has been established. Gwen’s family would like to extend a special thank you to all of Mom’s wonderful caregivers and the entire staff at Country Villa Assisted Living, Freedom, for all of their loving care and compassion.